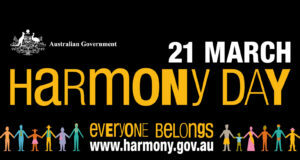 Home › Home News › Everyone Belongs – celebrate Harmony Day! Harmony day is a celebration of cultural diversity held every year on 21 March which co-insides with the International Day for the Elimination of Racial Discrimination. The message of Harmony Day is that ‘everyone belongs’ and celebrates the heart of who we are, as a nation, by embracing and welcoming new arrivals from around the world as well as acknowledging and celebrating the oldest continuous culture of our first Australians and our history of immigration and acceptance of refugees over time. We here at MMI take this opportunity, on Harmony Day, to reiterate our commitment to, the realisation of dignity for all, to help people help themselves and to do so regardless of ethnicity, political beliefs, gender or religion. We celebrate and respect, the traditional owners and custodians of the land, the diversity of our workplace and the positive contributions that multiculturalism has made in all our lives.